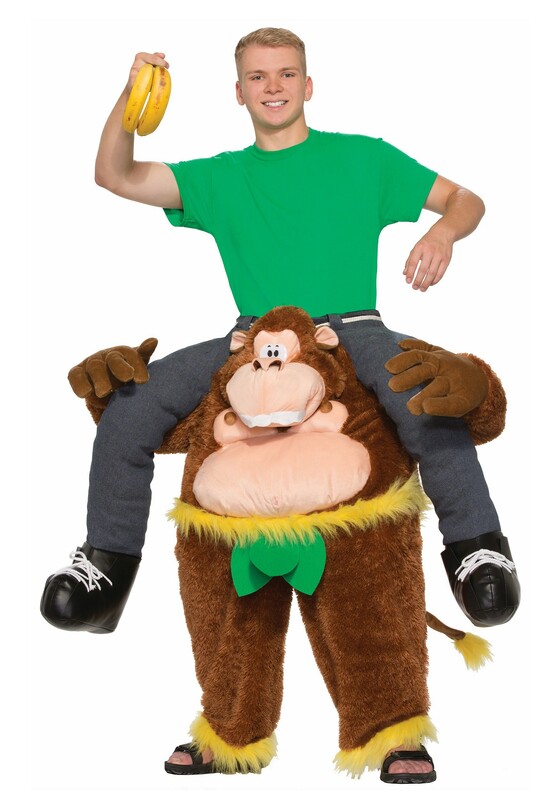 Costume features monkey giving you a "piggy back ride"
Riding a gorilla to a party is something most of us think we'll never do in our lives, but we'd be wrong! It's something anyone can do... including you! All you need is this Adult Ride on Monkey Costume! It's one of these fantastic double-take costumes that everyone will try to figure out. We recommend staying in character through the whole thing. This Monkey? Owes you a life debt. Name is Chippers. He's going to carry you around for the rest of your life, and all you have to do is give him a banana a couple times of day. It's win-win! MY ORDER CAME QUICKLY. IT WAS ACCURATE AND THE TRACKING WAS VERY GOOD. I WOULD DEFINITELY RECOMMEND THIS COMPANY.